SATO RACING 'Racing' Hooks provide sturdy tie-down loops useful for strapping down your bike, convenient for when you need to transport it. Our Racing Hooks are designed to install at the mount holes for the stock passenger pegs after they have been removed. 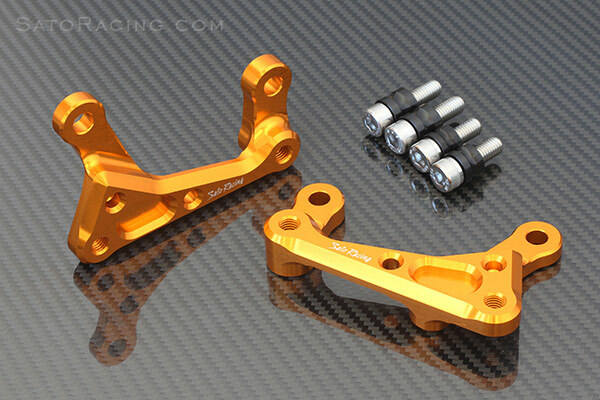 Made of anodized billet aluminum in your choice of Black or Gold. (Some models also available in Silver). 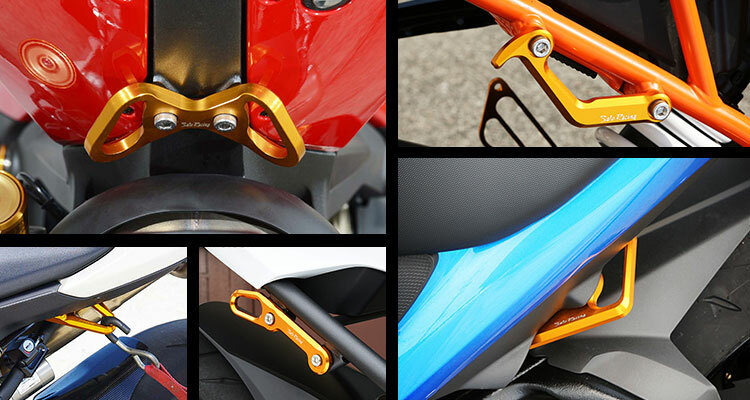 For certain models such as Honda CBR1000RR, we also have 'Street' Hooks. These heavy-duty hooks include mount holes and hardware for attaching the stock passenger pegs.